Hope you all had a wonderful weekend. 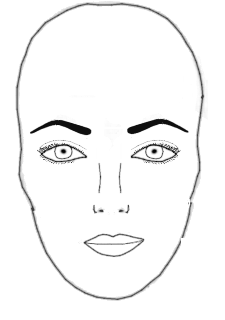 Today, we will be learning about 'brows', not how to achieve the picture perfect brow, but how to start. First of all, you should note that everyone has a certain face structure. 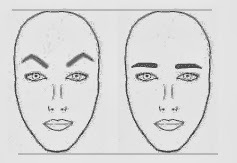 Secondly, we have different brow shapes (flat, arched, curvy). 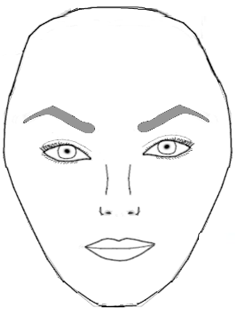 Also, know the type of brow shape that works for you, because wearing make-up, or being a make-up artiste is similar to being a painter, only this time, your canvas is the human face. You have to be able to visualize it in your mind and then put it down. We have realized lately that ladies have this perception about the perfect look, everyone wants to look a certain way, forgetting we all have different faces that make our looks unique. We have people with oval shaped faces, square shaped faces, round faces, all sorts. These are faces all have different brows that work for them, but we all go on ahead and want what we see in the magazines. The lesson for today is to study your face and visualize in your minds the eye brow that would work best for it. 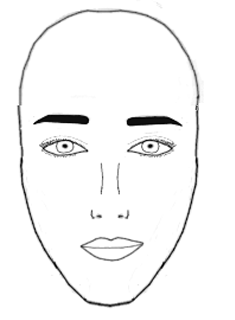 An easier way to do this is to pick up a piece of paper and a pen, look in the mirror, try sketching what you see in reference to your facial structure, then you fit in different brow shapes into it and see which one catches you eye best. 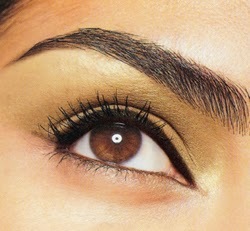 1: For shorter faces, a longer brow would suite you better and give your face the illusion of length. 2: For longer faces, it would do you good to make the brows slightly short to avoid your face from looking like its going on forever. 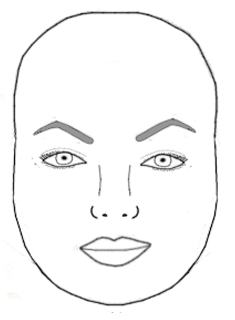 3: For rounder faces, a bit of arch would do you a world of good to make that face appear more oval. 4: For oval faces, a soft and somewhat flat arch would suite you better. 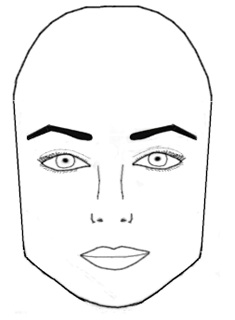 5: For square faces, avoid the arch because it could give your face the wrong dimensions. A curvy brow would look better on you.